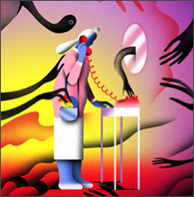 Bloomberg piece this month explores the devastating physical and mental health decline experienced by older adults who are victimized by scammers. It tells the story of Marjorie, who lost hundreds of thousands of dollars before family members discovered that she had been targeted. Ultimately, Marjorie took her own life. The Bloomberg article quotes EverSafe COO Liz Loewy and other experts in outlining the scope of the elder fraud crisis. As in Marjorie’s case, many older adults choose to keep the exploitation a secret from friends and family, enabling criminals to prolong their schemes. Although federal funding to combat elder abuse and exploitation remains limited, 39 states have added financial exploitation to their legislative sessions in the past year and more than half have passed legislation or adopted resolutions to help protect older adults. Wells Fargo recently published research entitled the Elder Needs Survey after evaluating data derived from interviews of more than 1,500 older Americans, including senior citizens and adult caregivers. The results of the study were compelling. 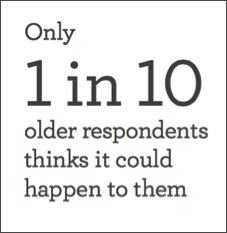 Nearly half of the seniors reported that they knew someone who had been the victim of a scam, but only 1 in 10 felt that they were vulnerable to exploitation. And although more than half of adult children believe that helping parents is “what families are for,” 34% report that they feel uncomfortable discussing the topic of money in a family conversation involving advance planning. A piece in TIME Money Magazine highlighted the Wells survey and focused on the importance of having a family conversation that includes the subject of financial protection. COO Liz Loewy, who presented remarks at the launching of the Wells research, suggested that when initiating the idea of a family conversation, the messaging shouldn’t necessarily be centered on aging and the possibility of dementia in the future. “Don’t make it about fraud or getting older,” Loewy suggested. She recommended that seniors and their adult children start by making an ‘emergency contact list’ of sorts, including information regarding where they do their banking and the names of their attorney, Power of Attorney, financial advisor, CPA, and other vital contacts—to be shared in the event of a crisis. Offering to trade this kind of data should help put the conversation on equal footing and may end up being useful to all parties, Loewy noted. “You will have to deal with the discomfort now, or you will end up dealing with the consequences later,” warned Kez Wold, who oversees Texas Adult Protective Services. As the article points out, those consequences are not just financial—research from the University of Texas demonstrates that there is a link between elder fraud and health issues, including depression and even mortality. 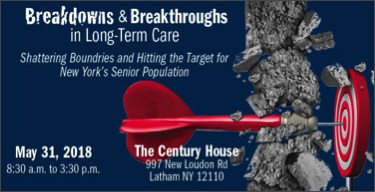 More than 250 government leaders, health care providers, attorneys, financial and insurance advisors, elder care advocates and long-term care professionals will gather in Latham, New York on May 31st for the 23rd Annual Elder Law Forum. Howard Tischler, Founder and CEO of EverSafe, will speak on a panel entitled, “Disruptive Solutions: How NextGen Companies are Using Technology to Reshape the Future of LTC.” View the full agenda for the forum here and reserve your spot today by registering here. TIME Money warns readers to be on the lookout for phone calls that appear to be from an official from a local government entity like a county clerk’s office. The recipient of the call believes that they are the subject of litigation, being fined, or that there may even be a warrant for their arrest. The scammer may ask for the victim to pay a “fine” by purchasing reloadable debit cards or gift cards. Another similar phone scam currently on the rise involves a caller claiming to be from a local sheriff’s office, with a directive for the call recipient to pay outstanding parking tickets. The exploiter uses scare tactics to induce the victim into giving their credit card information. This type of call should always be viewed as a suspicious communication. On May 16th, AARP unveiled their BankSafe pilot program in Washington, D.C. The groundbreaking program is a training initiative designed to help financial services professionals learn how to identify and respond to suspected elder financial abuse. A pilot overview infographic is available here. The program, which is free, interactive, and self-paced, was developed with input from EverSafe and more than 200 bank and credit union experts across the country. The pilot is underway in Arizona, California, Colorado, Florida, Georgia, Illinois, Minnesota, Ohio, Oregon, Tennessee, Utah, and Vermont. 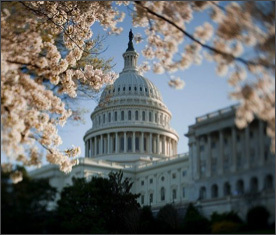 On Tuesday, May 22, the House approved the Senior Safe Act, legislation which encourages investment advisors, brokers, and financial services firms to report cases of suspected financial exploitation of senior clients to regulators and other authorities by offering immunity from federal privacy laws. The Act also promotes the development an d implementation of training sessions on elder fraud prevention for client-facing professionals. It’s expected to be signed by President Trump by the end of May. The American Society on Aging’s former Chair, Bob Blancato, testified before the House Appropriations Labor-HHS Subcommittee on April 26th on behalf of Elder Justice Funding. Mr. Blancato, representing the Elder Justice Coalition, testified in support of $25 million in funding for the HHS Administration for Community Living (ACL) Elder Justice Initiative as well as for $500,000 for a new Advisory Board on Elder Abuse, Neglect, and Exploitation as called for in the Elder Justice Act. He concluded his testimony by saying, “The problem of elder abuse is not stopping—nor should we be stopping our commitment to combat it.” Watch the video here. World Elder Abuse Awareness Day (WEAAD) was launched on June 15, 2006 by the International Network for the Prevention of Elder Abuse and the World Health Organization at the United Nations. The 2018 WEAAD is on June 15th and provides communities across the globe an opportunity to better promote an understanding of abuse and neglect of older adults by raising awareness about the cultural, social, economic, and demographic processes that contribute to abuse and neglect. An education and advocacy WEAAD toolkit for organizations can be found on the USC Center on Elder Mistreatment website here. The 15th Annual Silicon Valley Boomer Venture Summit, hosted by Mary Furlong and Associates will take place at the Claremont Hotel in Berkeley, California from June 20-21. This is the longest running conference in the longevity marketplace. Participants will network with angel, seed, corporate, venture and growth investors. The Summit includes a $10,000 Business Plan Competition for entrepreneurs. Submissions are being accepted here until June 1st. Register today for early bird ticket prices!